Brazil line-up: Julio César, Daniel Alves, Thiago Silva, David Luiz, Marcelo, Luiz Gustavo, Paulinho, Óscar, Hulk, Neymar, Fred. 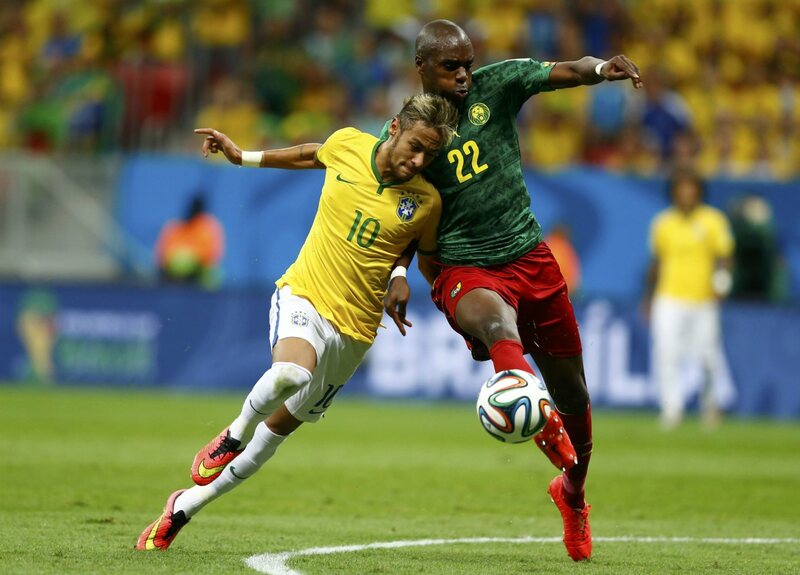 Brazil wrapped up the first place in this World Cup‘s Group A, after pulling off a convincing 4-1 win against the Cameroon this Monday evening. 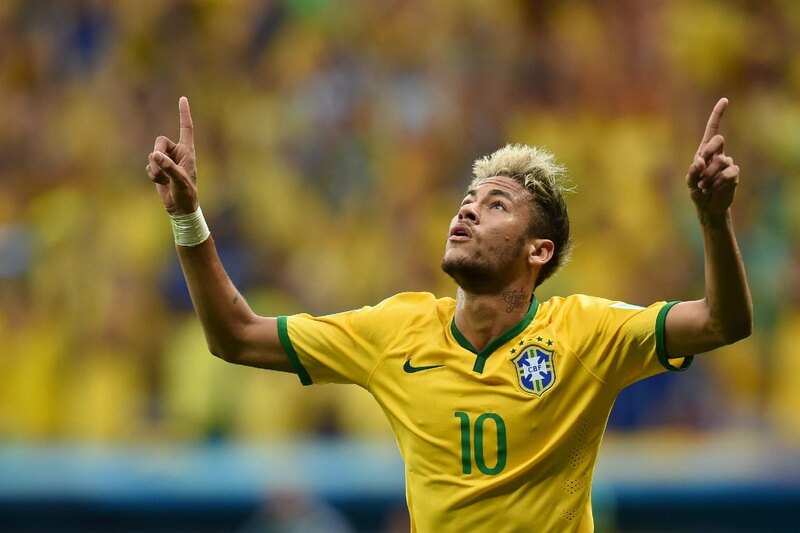 The star of the game was beyond any doubts Neymar, who shined more than everyone else around him by adding another two goals to his tally. The FC Barcelona forward is now the competition’s top scorer, with 4 goals scored in his first 3 games. The first goal arrived right in the 17th minute of the first half and following a high pressing action from the Brazilian men on the left wing. 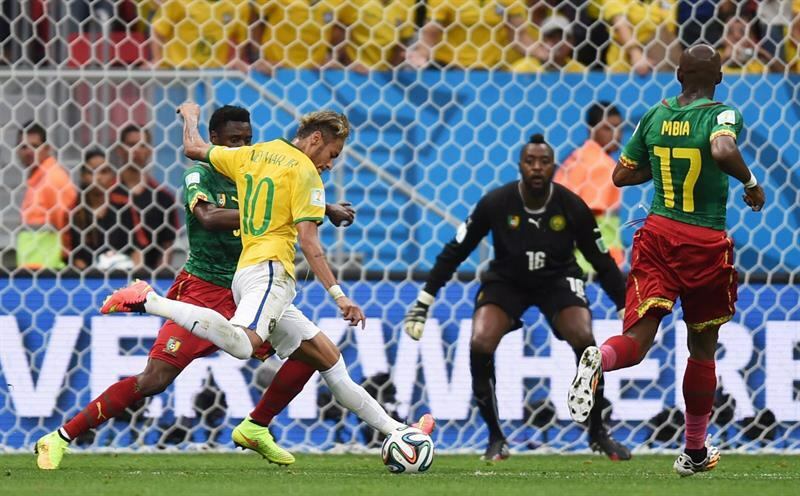 As a consequence of it, Luiz Gustavo managed to steal the ball from one of his opponents and ran down the left sideline to send in a low cross into Cameroon‘s box. Waiting for it in the middle was Neymar, who finished it off with a simple but very effective right-foot touch to deliver Brazil their first lead of the game. With the other game in the group still tied at that time, Brazil was in no danger of being sent out of the competition. 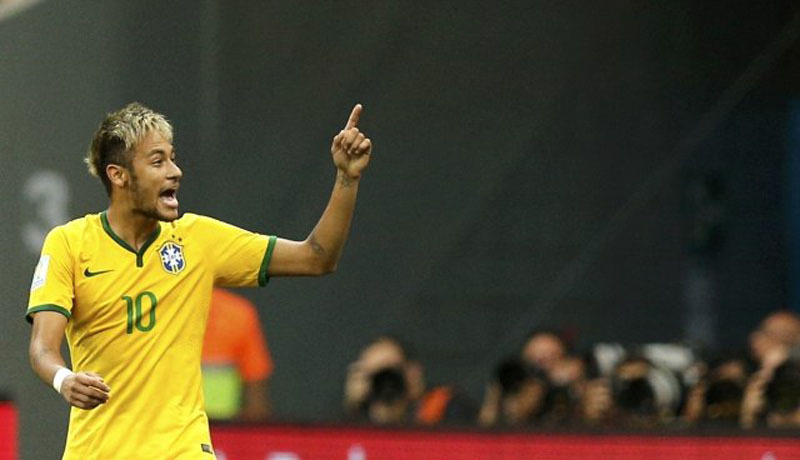 Nevertheless, Neymar was determined to lead his side to the victory this Monday and he scored the 2-1 a few minutes later, following a good solo play. 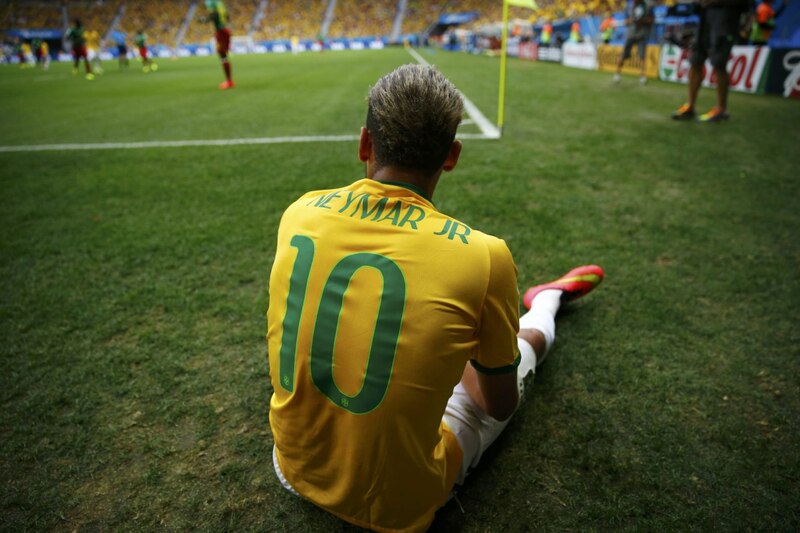 The assist actually came off from Marcelo‘s left-foot, but then it was all about Neymar. The 22-year old cut inside from the left in what’s already one of his trademark moves and then beat the Cameroon goalkeeper for the second time in the game with another right-foot finish. 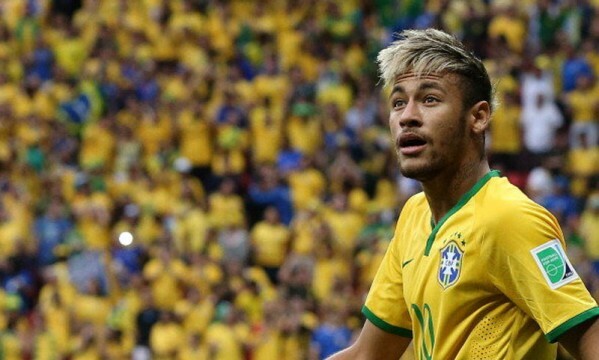 With Brazil on the lead and roughly one hour left to be played in the game, no one in the stadium in Brazília believed that the hosts would still drop any points in this match. They got to third goal just a few minutes after the kickoff of the second half, but this time it wouldn’t be Neymar scoring it but rather Fred. 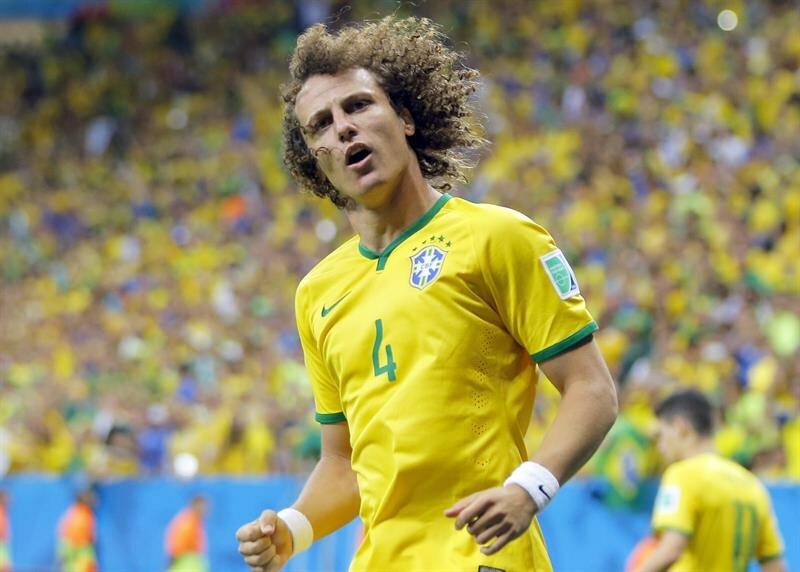 David Luiz sent the cross from the left and the Brazilian striker found himself all alone on the far post, where he only had to head the ball into an empty net to make it 3-1 to Brazil. The Fluminense player was offside though, but that certainly didn’t bother him much when it came to celebrate his first goal in this World Cup. 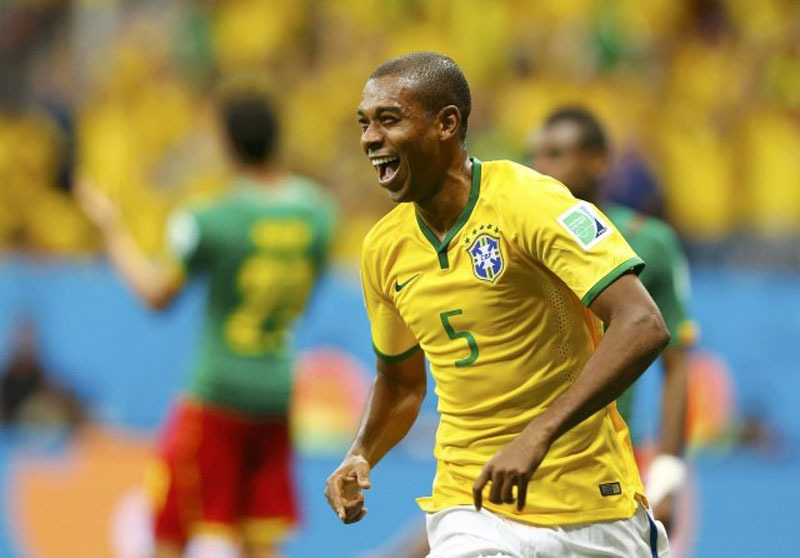 The 4-1 score was set in the 84th minute and it would be Manchester City‘s Fernandinho delivering that final blow. 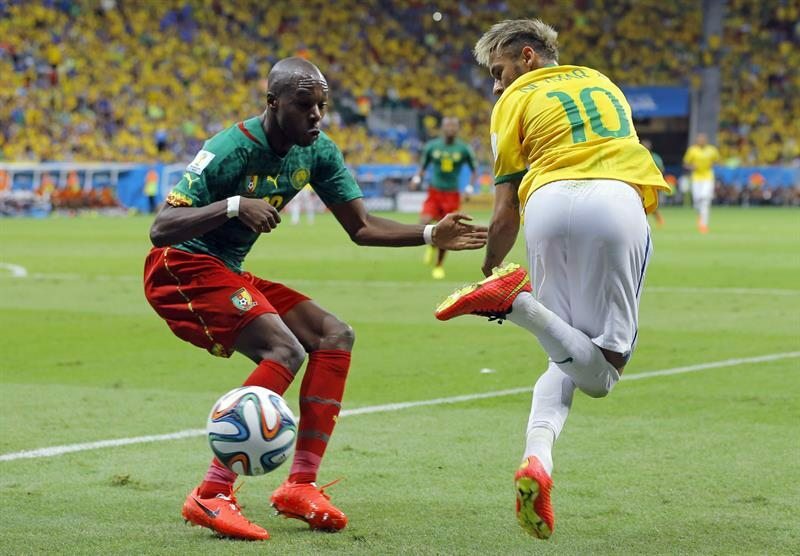 After stealing the ball very near Cameroon‘s box, the Brazilian midfielder combined extremely well with Óscar, just before striking the ball past Itandje using the tip of his toes. Easy win for Brazil, who now goes through in the first place of Group A, with 7 points and following a record of 3 games, 2 wins and 1 draw. Their next opponent in the last-16 knockout stages will be Chile, in a game that is already scheduled to be played next Saturday, June 28. The other already known clash will be a Mexico vs Netherlands, set to take place on Sunday.